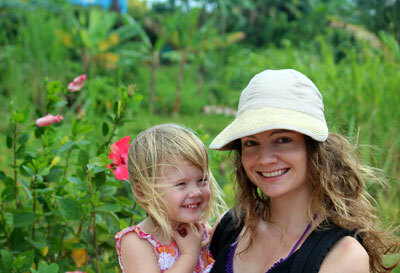 Travel to Belize with kids, and you’ll get them closer then ever to the wild animals they’ve only seen from Go Diego Go. 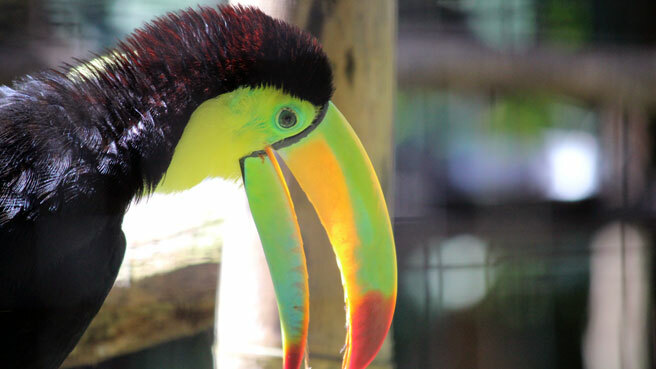 At Belize Zoo, they can touch a tapir, admire a toucan, and even get within striking distance of a real jaguar. Just remember to keep their fingers away from the fence! Belize is an upcoming spot for tourism, and not just for the influx of cruise ships that dock in Belize City. Many independent travelers fly straight to Ambergris Caye for that gorgeous island experience, skipping the run-down city. Some of the family travelers I follow stayed on the beach for a few months, writing about activities for kids in Belize’s Ambergris Caye. 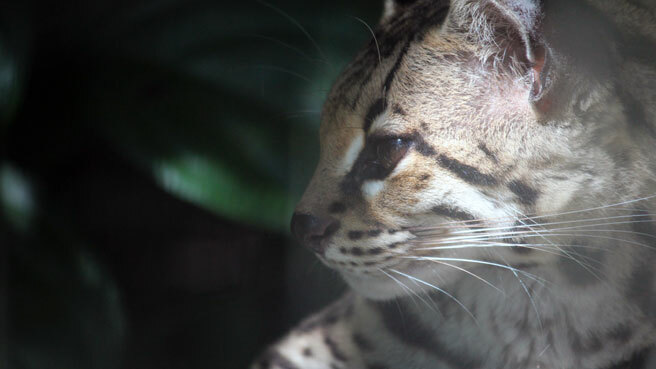 On our recent trip, we docked in the city and visited Belize Zoo and a Howler Monkey Sanctuary, both of which have a bit of a “backyard zoo” feel. 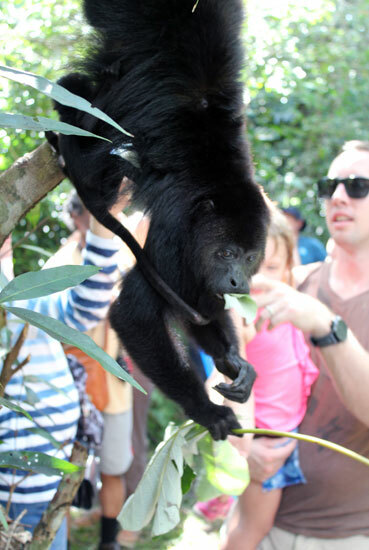 At the Howler Monkey Sanctuary, Little J got her first taste of monkeys in the wild. 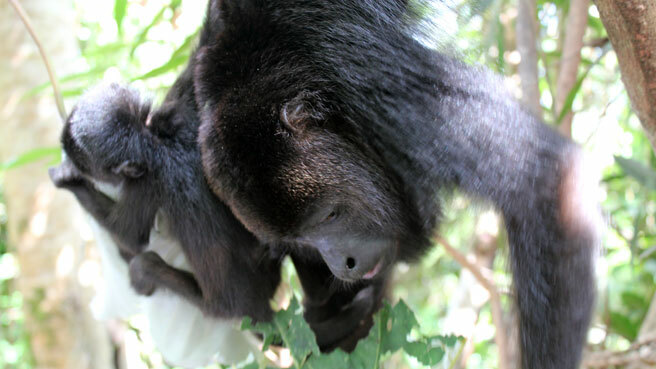 A fairly established place with a small visitor center, the Community Baboon Sanctuary (locals call black howler monkeys baboons) is a protected land area where the monkeys can live in their own habitats. On a nature walk, we came upon a gathering of monkeys in the trees about a foot from our faces. There were a lot of loud males and even a mama monkey with a tiny baby on her back! 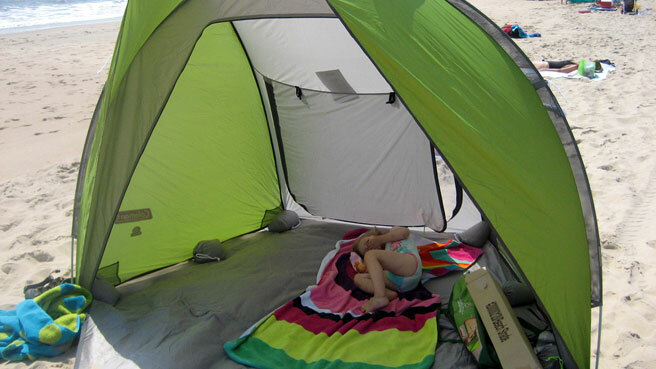 Nothing beats the squealing delight of a toddler witnessing the animal world at arm’s length. Then, the bus took us to Cheers Restaurant (I know, odd name) for some traditional Belizean stewed chicken and rice and beans. We got some Belikin beer and of course, when in Central America, one must buy a real-sugar Coke in a glass bottle. From there we headed to the Belize Zoo, a small zoo for rescued, rehabilitated or orphaned animals. They are proud to have Belize’s national animal, the tapir; Belize’s national bird, the toucan; and tons of wild cats in natural habitats. It was very hot and humid there and Little J wanted to be drenched with water the whole time. 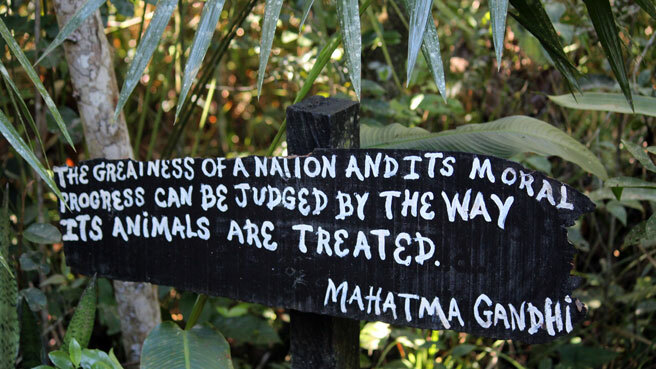 There are hand-painted signs everywhere promoting kindness to animals. 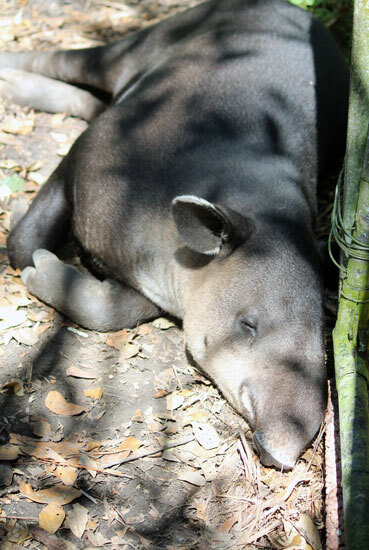 The tapir was sleeping at the side of the enclosure so we got to pet him. We smelled the stink of wild pigs and hunted for ocelots and their famous black jaguar, Lucky Boy. There were always fences so this is just a camera trick! After a cherry soda and ice cream, Little J finally fell asleep on the bus ride back to the ship. Our wild day in Belize with a kid ended with some more beers in an over-water restaurant in the tourist village and a bumpy tender ride back to the Crown Princess.